Welcome in our online shop "Drapaki Rufi". 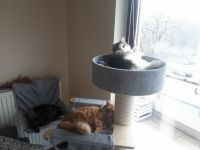 We produce the highest quality cat tree for cats for several decades. Our cat tree for cats meet the highest quality standards in both the materials and workmanship. 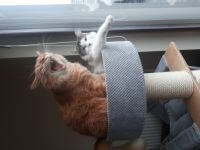 The cat tree, especially for a big cat, should be stable and durable. You can find the information’s about this in section "How to recognize a good product?". We recommend watching our video tests.